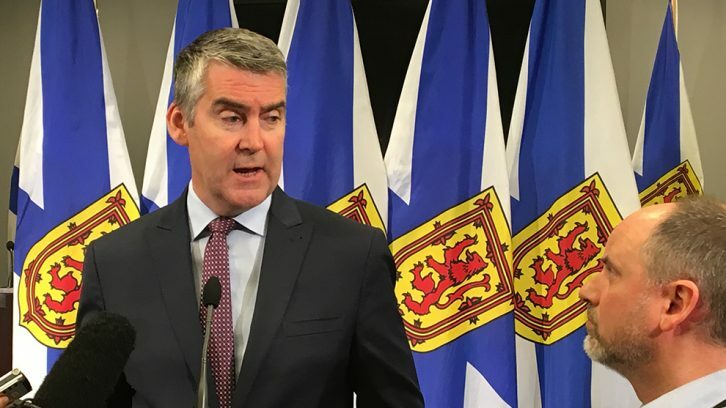 Nova Scotia Premier Stephen McNeil doubled-down Thursday on his promise to cut health-care red tape in the Atlantic provinces. McNeil told reporters changing the ability of health-care professionals to work across Atlantic Canada would not require a national buy-in. Instead, it would require cooperation from health-care professionals across the region. Allowing for some form of regional accreditation would allow health-care professionals to move between provinces for work with relative ease. “Surely, I think most of us would agree that if someone is operating in Moncton on someone, we would probably let them operate on us and vice versa,” he said. The Council of Atlantic Premiers met Wednesday in Charlottetown. All four promised to try to make it easier for health-care professionals to work across the region. These changes would affect doctors, nurses and other health-care professionals. Currently, each profession has its own provincial regulatory agency with different criteria for licensing and credentials.